It’s just common sense that when you do Ministry you are going to see some changes in the people and the faces around you. Throughout the journey of Ministry we will see lives transformed, and not just the lives of those we are ministering too but those who work with us. 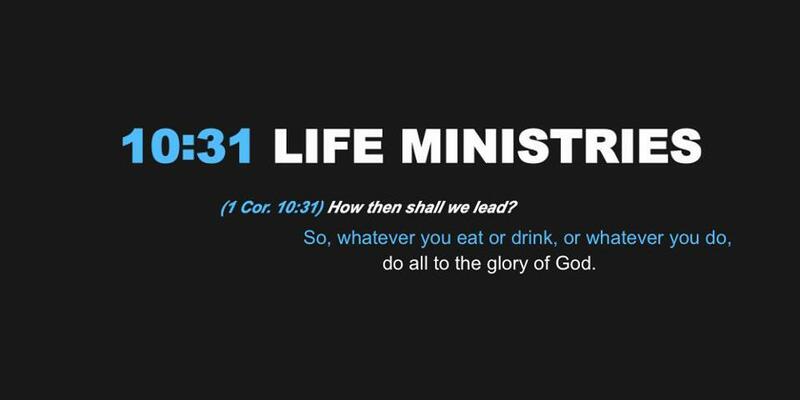 No matter what you do in Ministry there will be change. I was reminded of this during the week when the assistant director of Social Media & Marketing told me he felt the need to step down. Now, believe it or not this wasn’t a surprise to me, I knew it was going to happen, I expected it to happen. I had already started making plans with the leadership team to add one other person, though I was expecting them to be in place long before David stepped down. As it stands though David has stepped down and we haven’t even received an answer from our fourth leadership team prospect. But that is how ministry goes, I suppose. You may have people who are in it for the long run and you may have some people there for a short amount of time. David was only in leadership for five months before stepping down to join the writing team. But in that five months he practically built the 10:31 Life website. He updated and set in motion a growth in our social media presence and helped to get the organization on its feet again. It won’t soon be forgotten all that David has done to help this ministry get restarted after it was nearly dead at the beginning of the last ministry year. But that’s the way Ministry goes it seems, as I said, some people are there for the long run and some are just short term. While it’s true that David will still be involved at 10:31, he will not be a leader that is a change, now Angel and I have to adapt, find someone to take the place. So what do we in times like this? I’m finding the best thing to do is to pray. God’s in control of your ministry, doesn’t he know what’s best for all involved. I know that I’ve felt led to step out of ministry positions because of the amount of strain it has put on me in the past. Someone is always there to fill the role, and if they aren’t then maybe there’s a reason. At 10:31 we found someone within the organization to temporarily fill the Social Media and Marketing position. The person actually said if they like it they would take on the full responsibilities of the position. I think a lot of the time when we do ministry and something goes wrong we give up. At least the perception is that something’s going wrong. Some might gasp at the fact that DT stepped down (in fact some have) but I know there’s a bigger purpose there. This ministry, as much as it has my name on it, isn’t mine, it belongs to the Lord. If this type of surrender is what’s needed for it to be effective then so be it. The goal is to learn how to do ministry anyway right? So why wouldn’t God teach us how to handle personnel decisions beyond hiring new writers? Which by the way we have added two new ones. God’s got a plan for every ministry, He has a purpose for every good work. As I learn this it becomes clearer that He is also going to see that plan through to the end. Because I can’t tell you how true it is that God qualifies the called, this is just part of the qualification process.